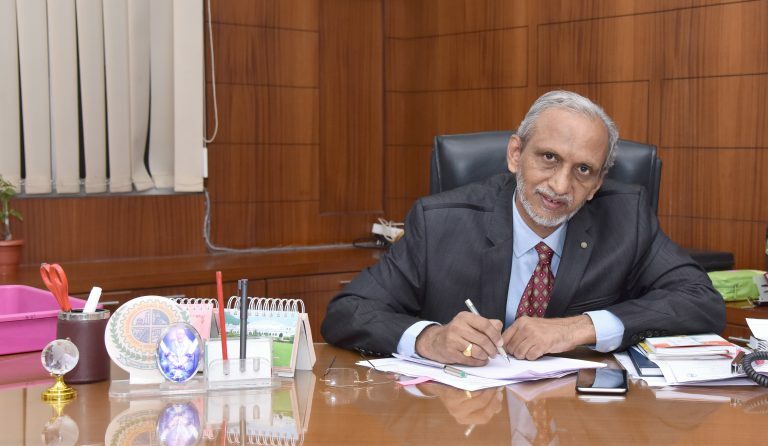 Prof. Pramod M. Padole, Professor (HAG) in the department of Mechanical Engineering, VNIT Nagpur has taken charge as the Director of Visvesvaraya National Institute of Technology, Nagpur on 28th June, 2018. Prof. Padole is an erudite professor, popular teacher and eminent researcher with a dream to use science and technology for better community life. Prof. Padole is also an alumnus of VNIT, Nagpur. He did his BE (Mech.) & PhD from VNIT and Master’s in Machine Design from VJTI, Bombay. Prof. Padole joined VRCE in September, 1988. With vast experience of three decades of teaching, research and administration, Prof. Padole worked as the Dean Faculty Welfare from 2014 to 2017, also worked as Prof. In-charge of alumni affairs of the institute for more than 5 years. Prof. Padole was also instrumental for developing CAD/CAM centre in VNIT and has started PG Course in CAD/CAM. Mechanisms and Machine Design, finite element method and Bio mechanical engineering are his research areas. Prof. Padole has guided 17 PhD research scholars and supervised more than 50 M.Tech projects. Presently 4 PhD research scholars are working under him. He has more than 140 research publications in reputed international and national journals to his credit. He has two Patents to his name. Prof. Padole has visited various countries like Germany, UK, USA, Romania, France and Hon Kong for presenting his research work & has chaired technical sessions at prestigious international conferences. Prof. Padole also worked as the President of Bio-medical engineering forum and developed functional and applied technologies & implants. Prof. Padole has successfully completed more than 14 consultancy projects in the areas of appropriate technology, design and finite element analysis which were funded by DST, MHRD, KVIC and AICTE. Prof. Padole has received “Academician Par Excellence” award from Institute of Engineers in 2017 for his life-time contribution in the areas of product development, process development and technology transfer. He has also received best “S&T” innovation award from Government of India for KVIC sponsored project and developed 10 intervention technologies for creating self-sustainability & economic development of rural sector. Prof. Padole is equally good at Painting, Sports and Singing. Some of the sample Paintings can be seen in VNIT Website Gallery.